There are endless scams that land in your inbox and many of them look like bona fide emails. The latest is an email that appears to come from the DVLA asking you to verify your driving licence or vehicle tax online – you will then be asked for your bank details to receive a ‘refund’ of an ‘overpayment’. There are many email scams from demands for payment with ‘invoices’ attached to links that appear to go to a genuine website – maybe a company you already know, in some cases your bank’s website. 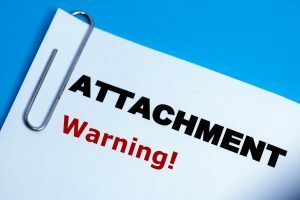 Don’t open ANY attachment unless you are expecting it or you are 100% sure it really is from someone you know and trust. Check email addresses before you take any action – any email address that isn’t exactly the domain you know – delete it immediately and empty it from your trash. For instance, if you have a PayPal account and you get an email that appears to be from PayPal asking you to log in and verify something – if the email doesn’t end in @paypal.com or @paypal.co.uk ignore it. If you do want to check out online – don’t use the link provided. Go to the website by typing in the address you normally use. However, the best bet is to ask an expert – you can’t always be sure of how up-to-date online sources are.